A common scenario in business reporting is for different users to want reports to open with ‘their’ view on the data. So for a particular Store or business unit. Version 9.2 of XLCubed has added Workbook Aspects to help with this, allowing users to store their own slicer selections and quickly switch between those and also to set the default for when the report is loaded. With this feature you can define the aspects at a report level, shared by all users, and also allow users to define their own private aspects. Over the last year or so several customers have asked about the ability to export XLCubed reports directly into PowerPoint. They were doing this manually as part of regular monthly reporting cycles, and wanted to automate what was a fairly tedious process, and to save time. We took these requests on board and are pleased to announce PowerPoint integration as a new feature in v9.1. 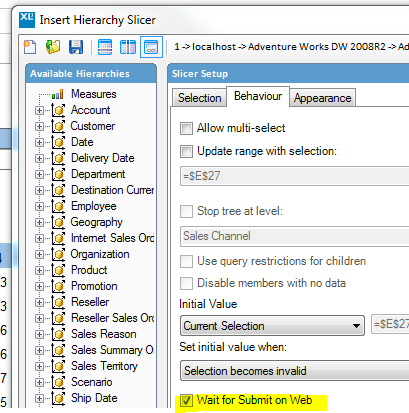 This means when the slicer is changed it does not refresh the report straight away, and if you set this on multiple slicers users can then press the ‘submit changes’ button on the toolbar shown below after they’ve made their selections. Alternatively, and to make it more obvious for web users you can have them click on some text or an image in the report itself to call the refresh, as in the examples below. I’ve created a simple report below with five different slicers. Note the “Refresh“ to the right, created using XL3Link(). It’s most often used to move the focus to another area of the report while passing parameters to enabled linked-analysis in a multi-sheet report. However, here we can use it to call a refresh. So when we publish our report to our web server we can change the slicer choices as required but it’s only when we click the Refresh button that the report is refreshed. 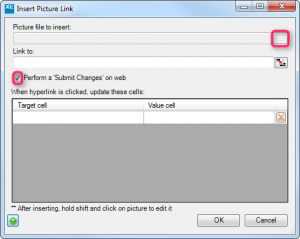 Browse in the window above to locate the Picture file to insert and remember to check the Perform a Submit Changes on Web box. 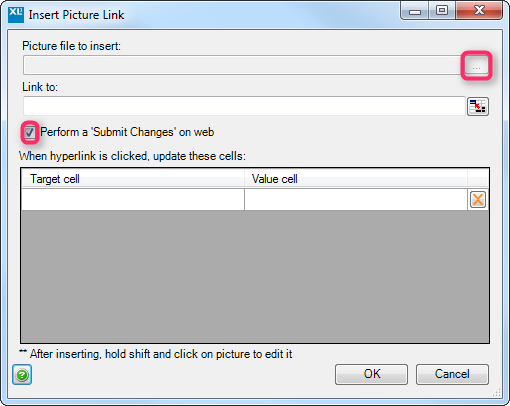 This is the published report using XL3PictureLink, the user makes the required selections and clicks refresh. So it’s as easy as that – two ways to ensure that your users can change multiple slicers on web-published reports before calling the refresh, and without you having to direct them to the standard submit changes on web button. Here we continue our theme on the myths which get propagated about Excel based BI. The next argument is that Excel BI cannot handle widespread report sharing and distribution. Base case we actually agree with this one, and that’s why we invested in developing XLCubed Web Edition specifically to address it. Understandably, sharing an Excel workbook around hundreds or thousands of users is not something which many companies will consider. 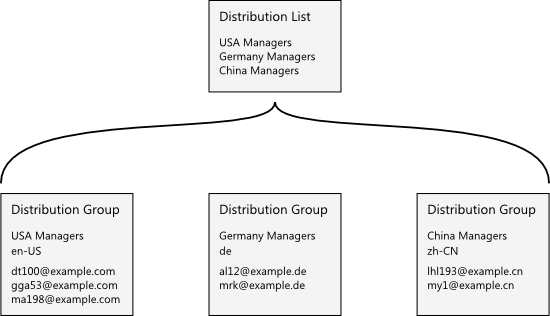 A web based distribution approach is much lighter and easier to manage. The drawback is that most web based report design environments lack the flexibility and latent user skill base of Excel. XLCubed provides a simple way to push data-connected reports developed in Excel to a portal based environment, where report consumers don’t require any software installed locally, other than a browser. The reports can also be accessed interactively through our native mobile apps for Apple, Android and Windows phone 8. XLCubed Web is self-sufficient and does not require SharePoint. For customers with SharePoint and keen to retain it as a centralised environment – no problem, XLCubed Web can integrate so tightly within SharePoint the end users won’t even know it’s there. 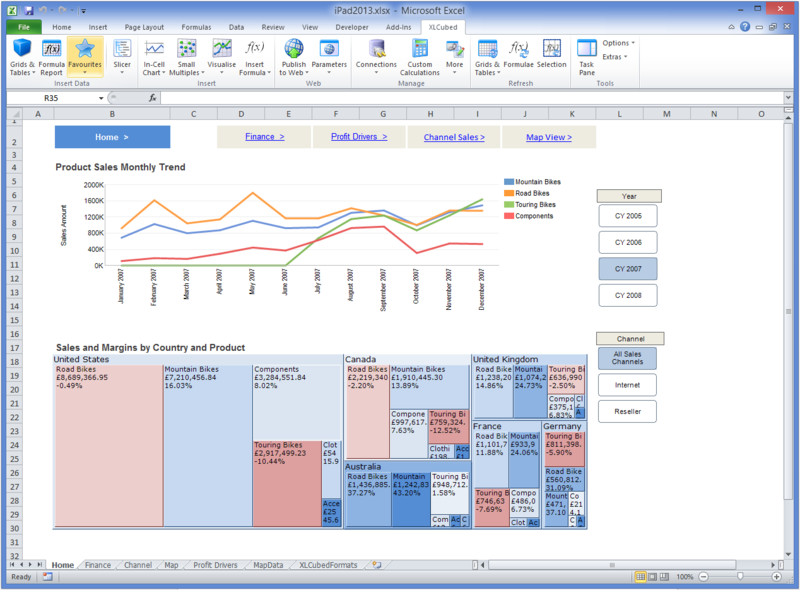 Excel based users can become web and mobile report designers in minutes. XLCubed uses Excel as a key part of the BI solution rather than as the entire BI solution, and it’s that which allows us to address the sharing problem, along with the other myths we have identified in this blog series. A slight departure from the normal blogging to let everyone know about the latest developments in XLCubed and to talk about a new dashboard competition with the chance to win an iPad 2! 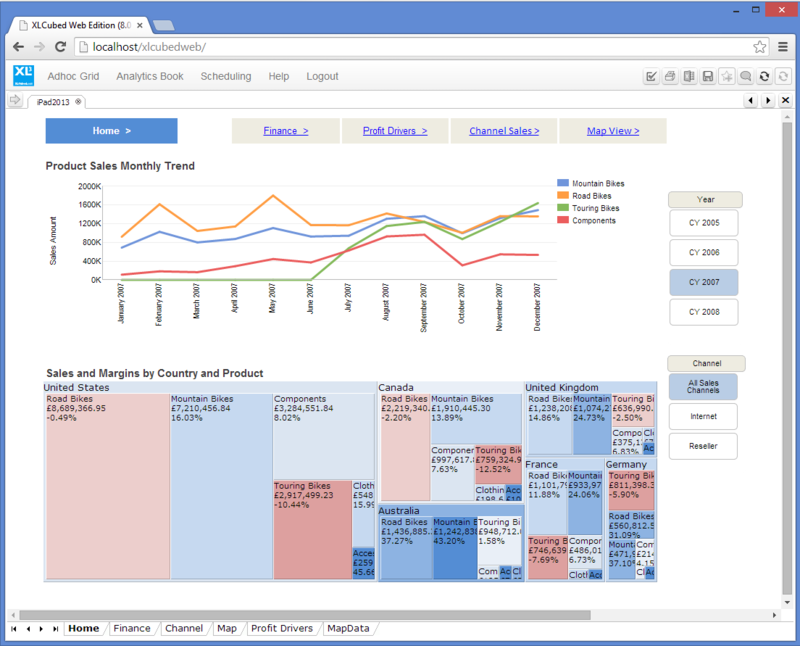 XLCubed are sponsoring Dashboard Insight’s first dashboard design contest. The competition is based on a provided data set, and we’d encourage as many as can to enter. We believe that XLCubed offers a class-leading dashboard development environment, with fine grained control over chart and table sizing, and we’re looking forward to seeing some great dashboards. Take a look at some of our previous winners for inspiration. Don’t forget that this blog also contains lots of helpful information that should help you come up with a great dashboard design. We’ll provide entrants with the sample data set in a local cube format to fully exploit the strengths of XLCubed. Entry is open to customers and non-customers alike, and your dashboard skills can win you a shiny new iPad 2. Good luck if you choose to enter. 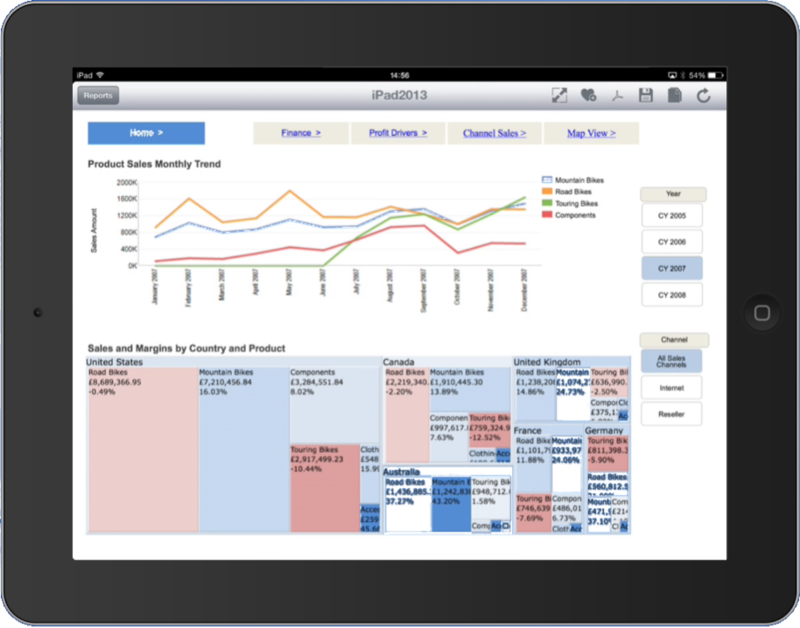 iPad / iPhone app – XLCubed web reports have always worked on smartphones and tablets. 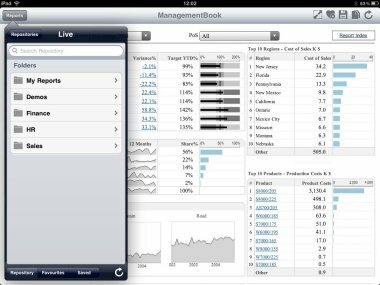 However our app brings an intuitive iPad optimised user experience to report navigation and selection. Mapping – Integrated point and shape based mapping in Excel and on the web. Scheduling – email delivery of XLCubed web reports by pdf or Excel. Schedules can be controlled by period, or by data exception. Sharepoint WebPart – customers have been using XLCubed Web reports in SharePoint for a number of years, but we now introduce a dedicated WebPart to make the process simpler and provide greater flexibility and depth of integration. Away from the headline items there are a number of significant smaller enhancements which make 6.5 another big step forward for us. We’re looking forward to bringing it to market. For an early test drive, contact us along with your specific area of interest at support@xlcubed.com. Lastly we’d like to welcome Cardinal Solutions Group to our partner program. Cardinal operate in North Carolina and Ohio and are one of a select few Microsoft Managed Partners in the U.S. East and Central Regions. We look forward to working together with new and existing customers. With version 6.2, XLCubed introduces a new feature that we’ve had enquiries about for a while now: the ability to send scheduled reports to email recipients. In this post we’ll go over the basics of how it works and why you might want it. As report designers and publishers, it’s our job to share our findings with others. In some cases, we have the opportunity to present the information in person at company meetings, and in other cases, just publishing a data-driven dashboard, table or report to XLCubed Web Edition allows our audience to examine the data at their leisure. In many cases, however, we’d like to provide our consumers with a report on a regular basis. This might be a week end sales report, or perhaps one showing a breakdown of new issues versus issues resolved during the month. By automatically sending an email containing the report, we no longer have to worry about missing that important information. In some situations we don’t want to have a regular report, but we do want to know when some performance measure is unexpectedly high or low. Under these circumstances it can even be distracting to be updated too frequently: it would be much better to only be notified when the measure is in the unusual condition. Both of these scenarios are catered for by XLCubed’s new scheduling feature. As always, the report design step is carried out in Excel. For scheduled reports, there are a couple of additional considerations when designing your report. As with normal reports, scheduled reports can use web parameters. These are enhanced for scheduled reports, allowing you to place items such as the current time, user or role on the report. This means that the report can use those variables to allow a customised view of the data. 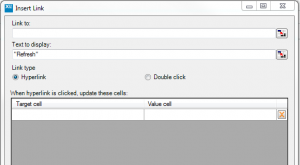 In addition to this, when setting up the schedule you can specify one of the web parameters to be a trigger: the report will only be sent if the value in the parameter cell is TRUE. Since different scenarios require different schedules, XLCubed makes it easy to control exactly what is sent and when. When setting up a schedule, there will be a few things to choose. The last of these codes is special. 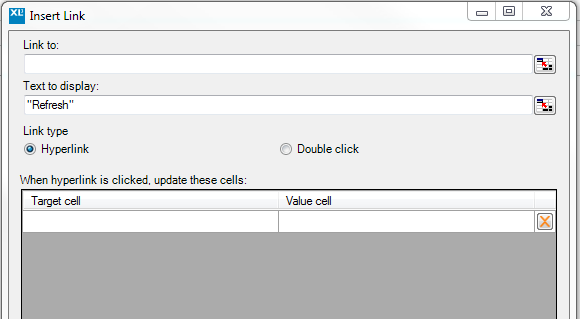 Instead of inserting anything into the report, XLCubed examines the parameter’s cell and sends the report only if the value is TRUE. This means that not only can you create a trigger based on your data, but you can create complex logic based on multiple criteria in Excel. Secondly, each schedule is set to run at particular times on particular days. As you would expect, XLCubed provides a framework that allows you to fulfil a wide range of different requirements, whether you need to run your reports every day, every other week, or even only on the 29th of February. Lastly, each schedule of course lets you choose who to send the reports to. XLCubed allows two different ways to set up the recipients for a report. The first is ideal for where the report needs to be sent to just one or two people. Just type in the email addresses and it’s ready to go.